Once again my husband loves this juice. great price fast and free shipping can go wrong. 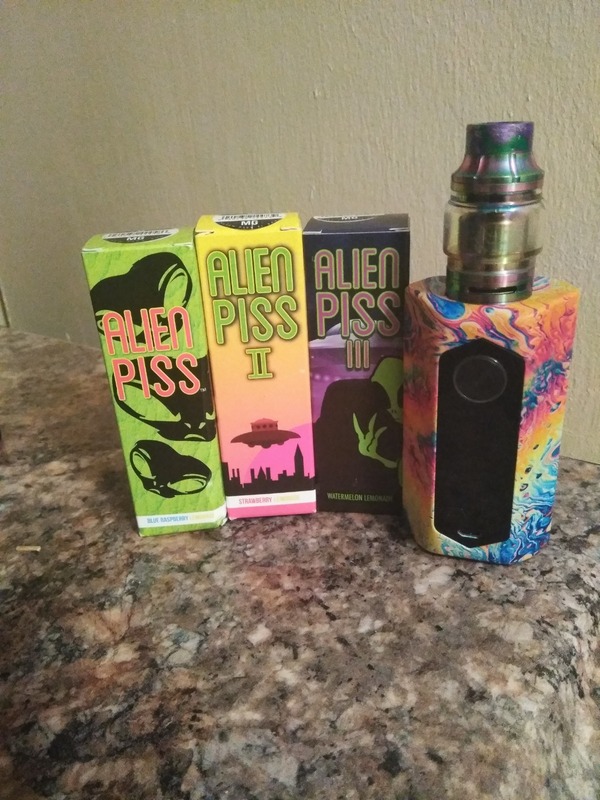 Been vaping the original Alien, now I have another one I love! Alien **** fans, give this a try! Fruity and love the odor it leaves! This stuff is really good, slightly harsh the first time you vape it so vape at a low watt to bring out the real flavor, this one is my third favorite! Alien **** 1 and 5 are my two personal choices but all have great flavor and they all blow amazing clouds!